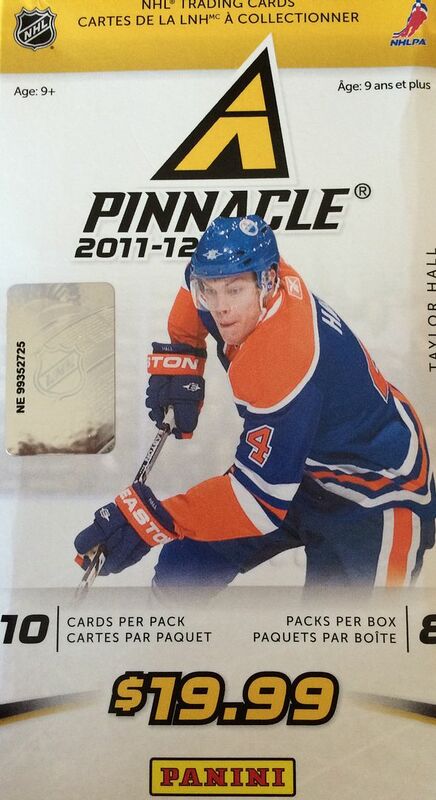 I've opened up quite a bit of Panini Pinnacle on Retail Review episodes, but they haven't gotten boring yet! These blasters are very affordable, contain hits, and are great fun to open. It's awesome to find them at such good prices now. This blaster box was once $20 to buy at a retail store. I got this one for about six dollars at dacardworld.com. That is a great deal. These blasters come with a pretty decent amount of cards, and includes great looking base cards, several inserts and parallels, and a hit to top it all off! These might be the best deal you can find in terms of discounted retail boxes. This is a blaster that I already know I'll enjoy - I'm just looking forward to seeing what's in it. What a fun box to open! This box came with a lot of variety in terms of card types and card images. Pinnacle's photo selection could even rival those from Upper Deck Series One and Two. They are that unique! There were several times I just had to stop and look at the photo on the card. For collectors who enjoy photographs, this is definitely a must see set. Besides the inserts and hits, I was also able to get two NuFex foil parallel cards from this box. It was nice to get one rookie card and also a standard parallel. I've always enjoyed the look of these cards and am happy to pull them out whenever I open up Pinnacle. 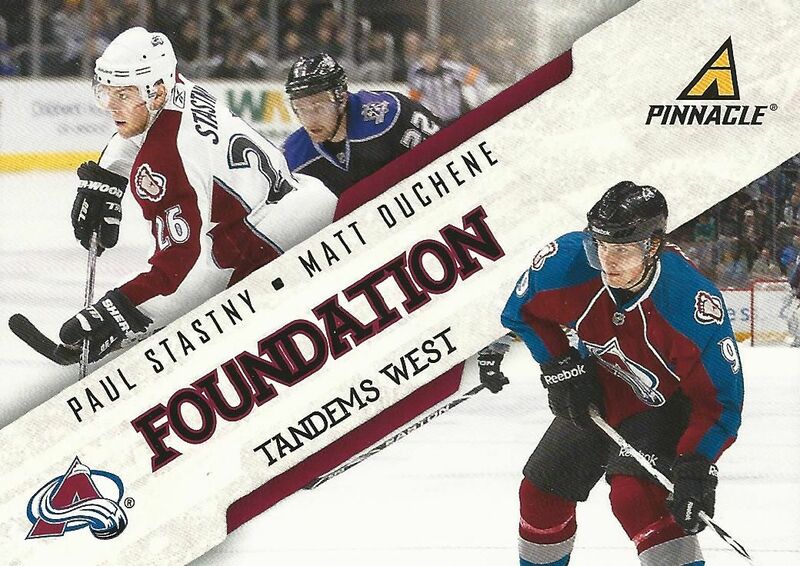 I like the look of these Foundation Tandems cards. Usually I'm not a fan of multi-player cards, but these have a clean and fresh look to them that is enjoyable. If I'm not mistaken, these cards were only available in retail. Canvas cards are very popular nowadays, and for good reason... they incorporate some nice art and textures into their design. 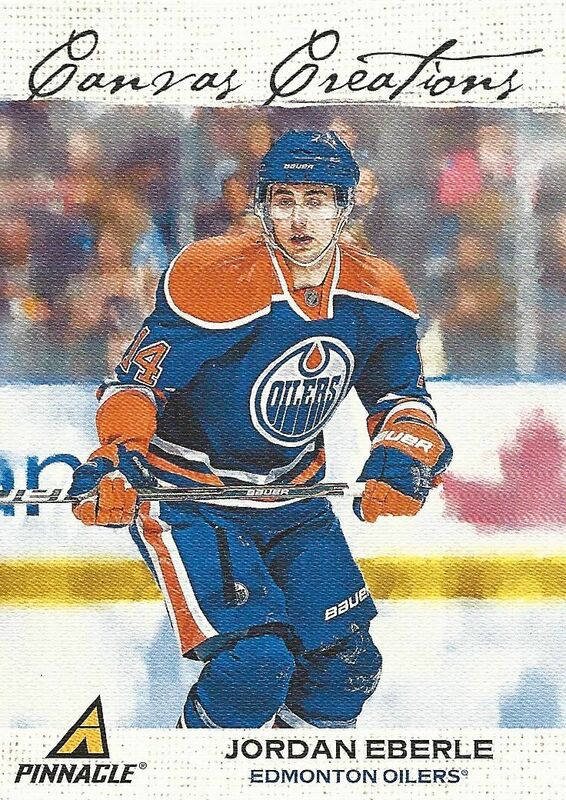 Eberle was one of my favorite players out of the 10/11 rookie class and pulling him is never a bad thing in my opinion. I'm not a Steve Ott fan by any stretch of the imagination, but I am a fan of getting hits out of blasters, even if they are just jersey cards. 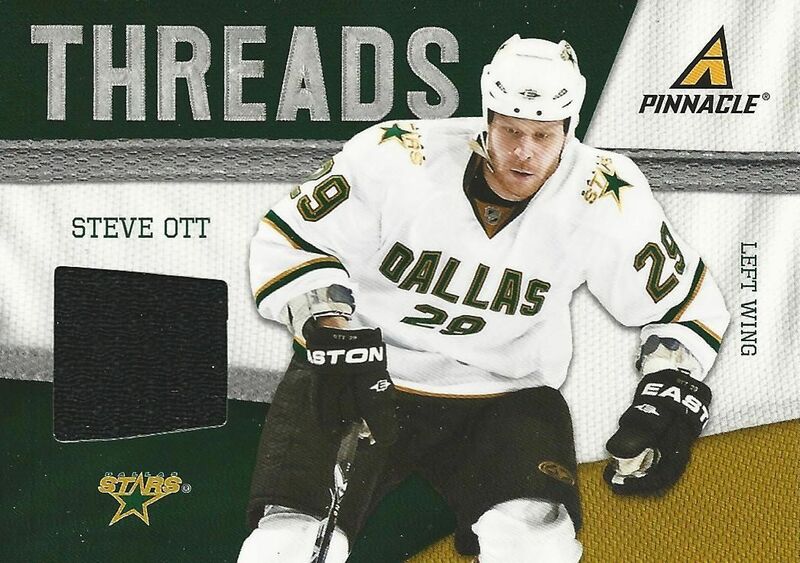 The Threads jersey set may be a standard jersey card, but the design is colorful and full. These are nice looking cards. For six dollars this blaster of Pinnacle was a great deal. I thoroughly enjoyed the breaking experience and got some nice cards out of it. I'm sure these blasters won't be around forever, I'd take the chance to get them now while they are dirt cheap before they are all gone! These are top quality, well-made, cards that may not be rare, but they are solid hockey cards to add into any collection.